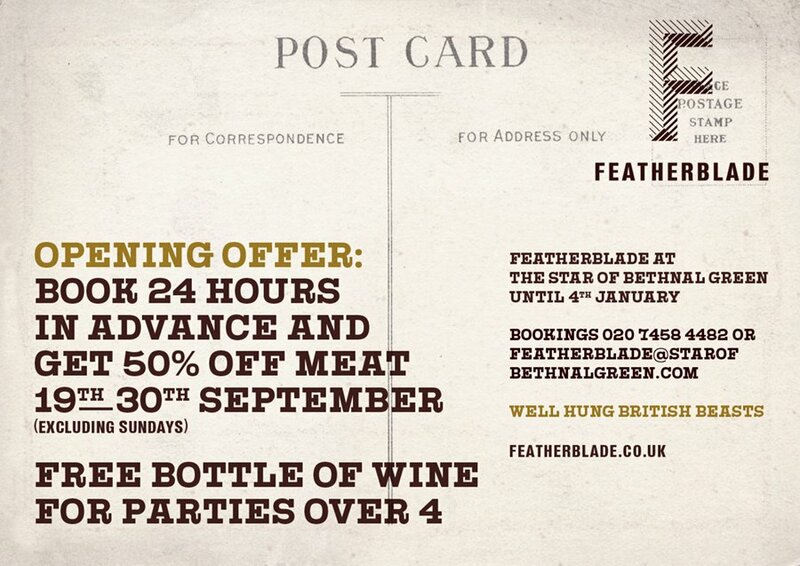 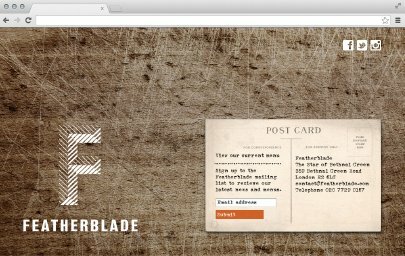 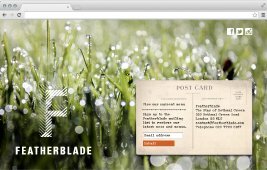 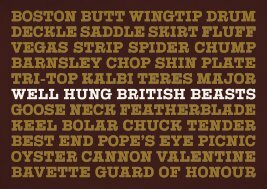 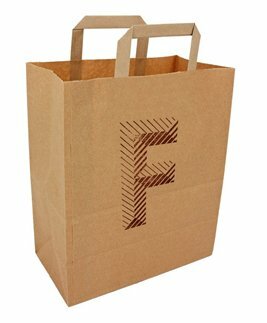 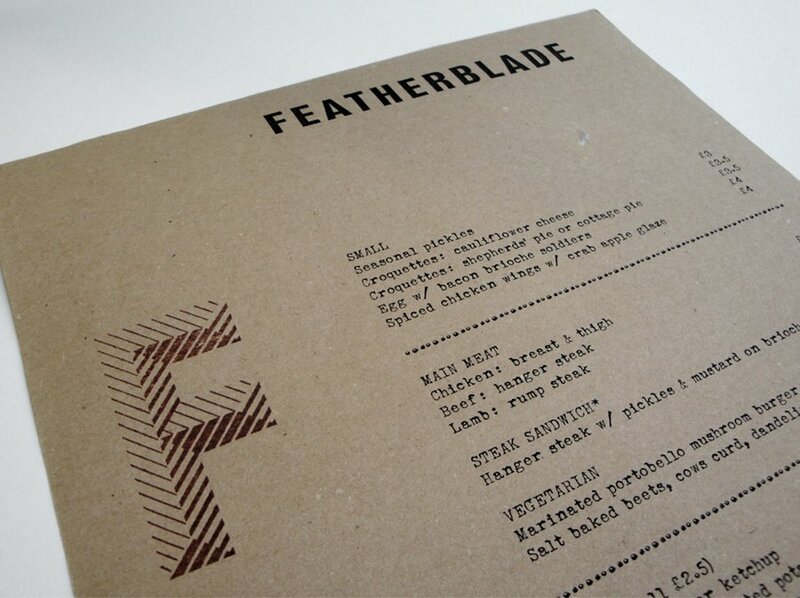 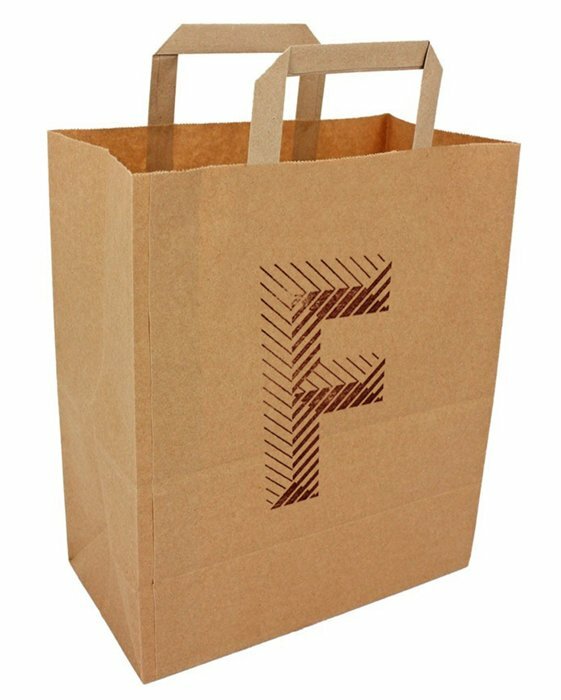 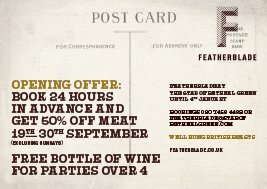 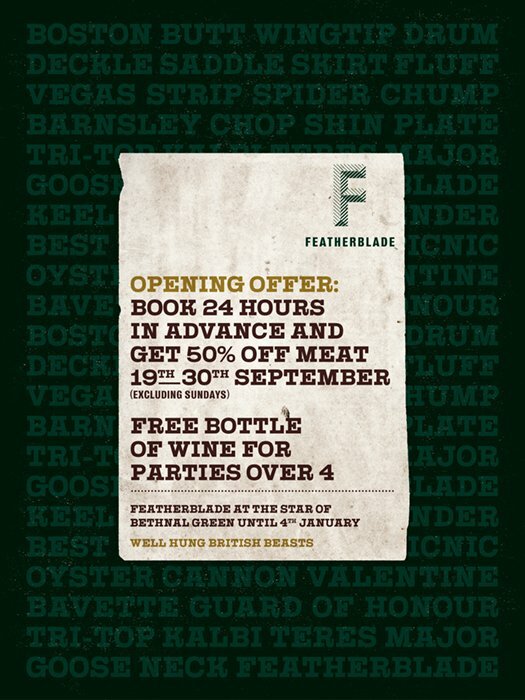 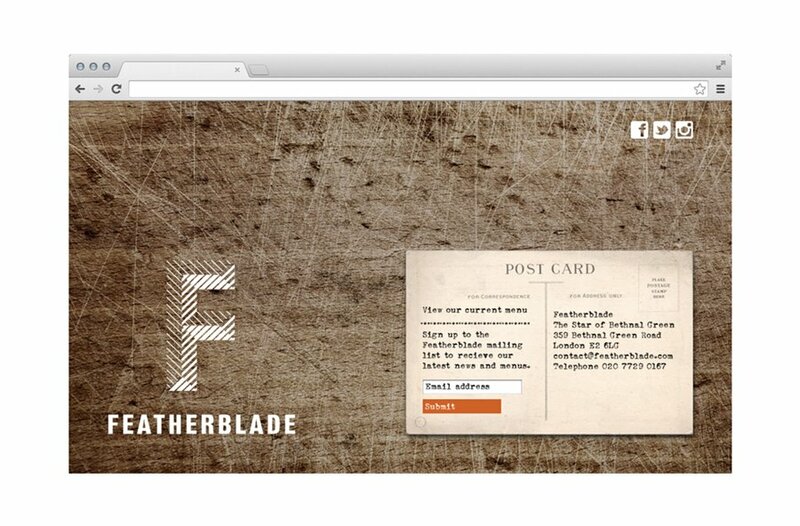 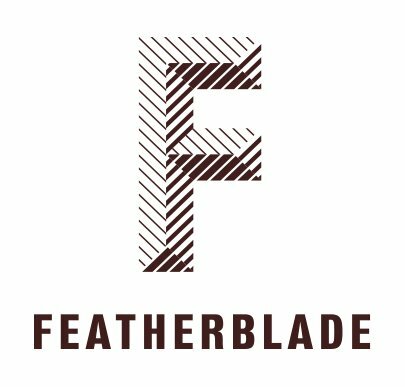 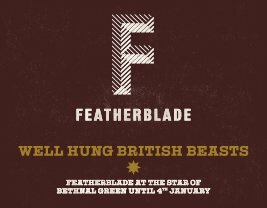 Featherblade is a new restaurant start-up, specialising in a pared down menu of good quality British meat dishes. 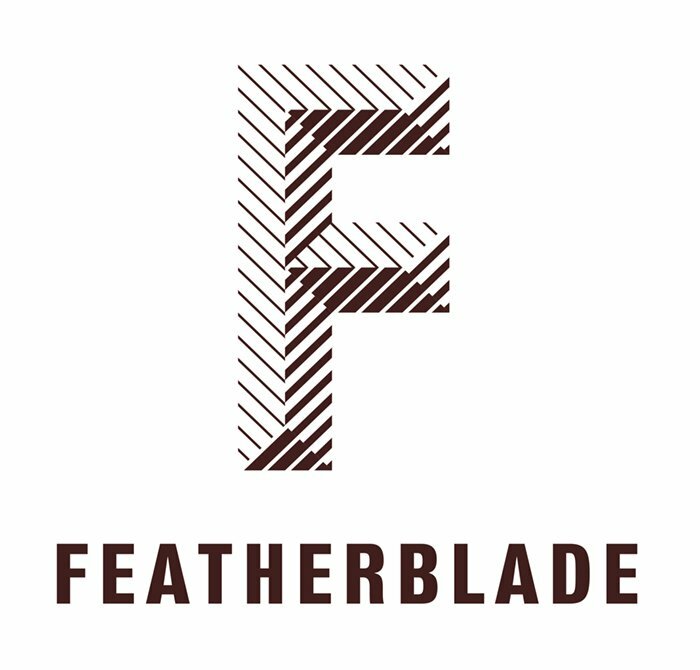 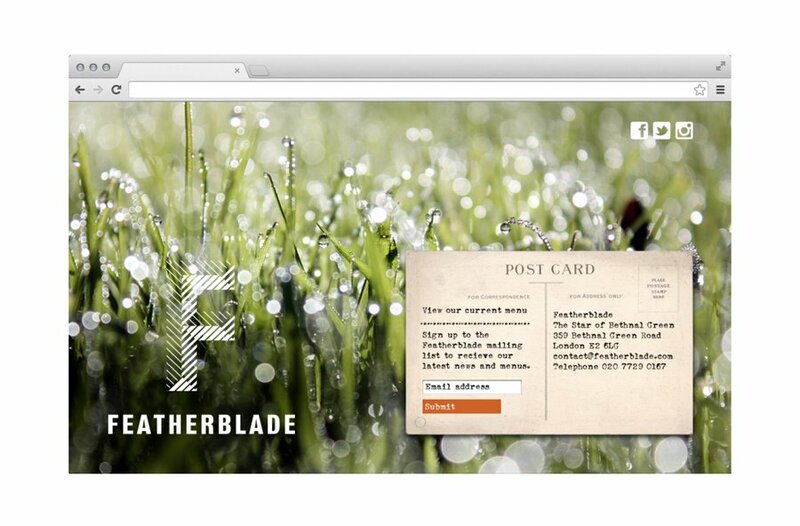 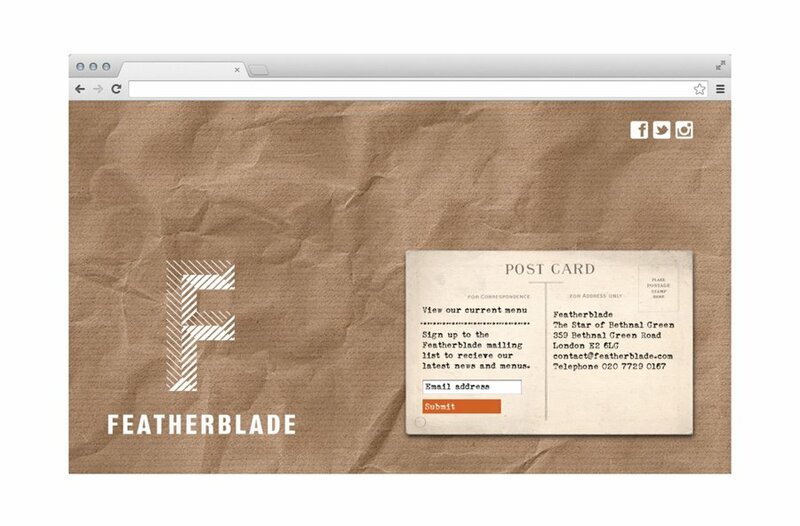 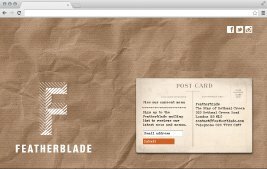 Entrepreneurs Dan and Stuart, asked Intro to design an identity for Featherblade and they wanted something that reflected their simple, yet wholesome approach, so the logo is rubber stamped and the menu is typewritten and attached to clipboards; while the website is a simple one page affair that steers visitors towards a menu and other social networking channels. 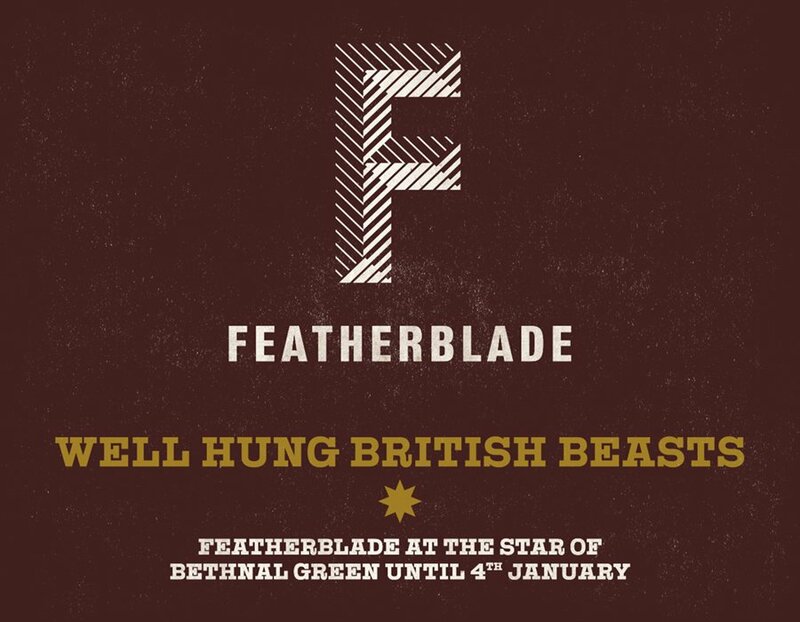 They’re currently running a pop-up at The Star of Bethnal Green and looking to secure their first permanent sites.